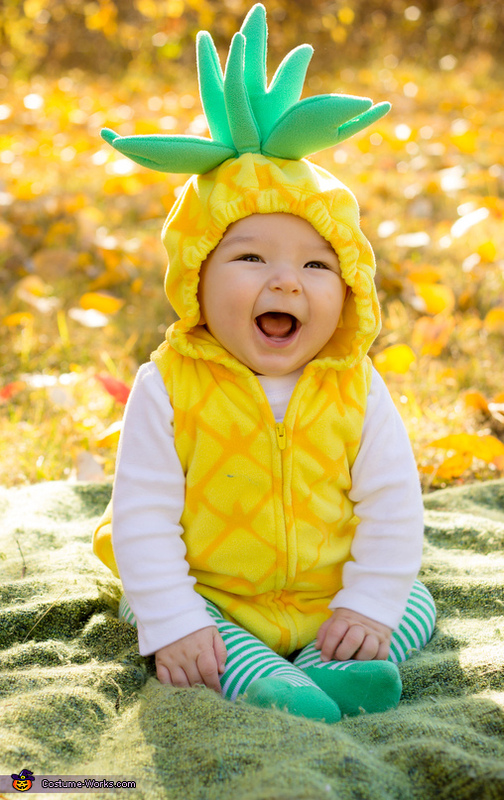 We found a baby pineapple costume on sale and had to get it! Our son Thaddeus enjoyed his first Halloween! Although we originally got the costume for a father-son Psych theme, we also enjoyed dressing up as a Hawaiian-themed family since Hawaii is where my husband, Jason, was stationed in the army, where we were married, and where we first lived as a married couple.